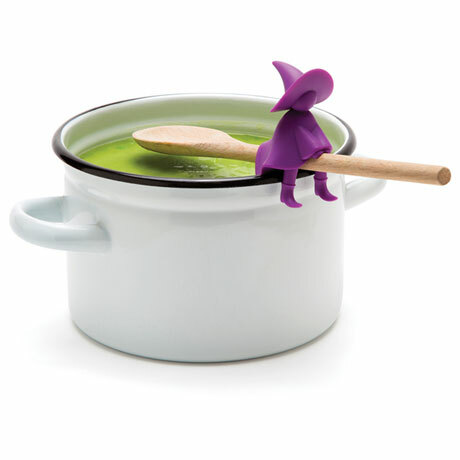 The simple, brilliant, adorable solution to common kitchen problems: spoons sliding into or bouncing out of pots, pots boiling over because lids slip. 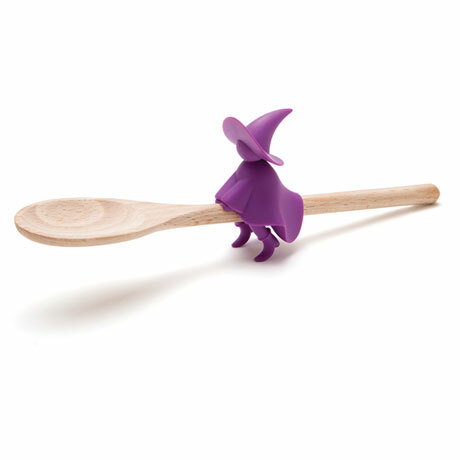 Purple silicone witch rests on the edge of the pot, keeping the spoon handy and the lid lifted just enough to release steam. 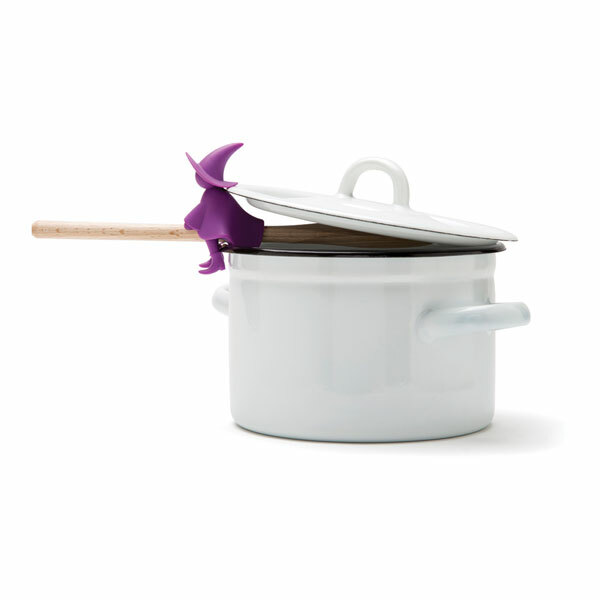 Food-safe, BPA-free, dishwasher safe. 3" high. From OTOTO Design.